On this page you can find summaries of our current product range, if you require more detail you can download brochures and information sheets here and on the info & prices page. Or simply contact Arta for more detail and ordering information. We are accredited Solar Designers and Installers. We install Remote & Grid Solar Electricity systems since 1992. Our Customers have invested in the future saving the environment and money!! Look at our Solar Electricity Package, this document is an introduction to Solar Electricity and a guide outlining the steps required in moving towards your own Solar Electricity system, your clean energy household. You can then download an energy demand calculation sheet (msword), allowing you to calculate your estimated power requirements. Fill in the form and send it into us via email or the post and we will send you a quote you for your special system. The government currently offers rebates for the installation of building integrated photovoltaic systems, this is reflected in our Solar Systems Overview sheet, where you can have a look at typical system prices. Our systems carry a 5 year installation warranty and comprise of proven, quality components. We will be there to help you through the process of converting your home, learn to operate and maintain your system. We deliver continuing support after installation, means you always have your system optimised to maximum performance. There will be an Arta Customer near you, please contact us if you want to speak to them. We have worked with Ralph Glockemann since the early days and have installed ca 35 pumps in the Monaro and district. We offer site checks with altimeter and guaranteed quotes. We install for you or help you with your own installation. Check out the newest developments and inventions of Ralph regularily here at http://www. Full Glockemann Pump Brochure in MS Word format. Glockemann Pump overview - requires Flash plugin. We sell all common solar system component brands, but we will advise you of the best performers, best values for money and the most reliable ones. Following you will see what we recommend and use in our systems today because of experience and not margin. UNISOLAR triple Junction a-Si Solar Modules. Outperforming solar modules in all aspects, except area. The plasmatronic series of Intelligent Regulators give you full control ove rthe charge cycle allowing you to operate your solar electric system the way you want to. They also give you a great deal of useful information about current and past performance. A remarkable cheap solution to doiuble the lifetime of your battery. Full 3d light brochure in MS Word format. High efficient 240 Volt refridgerators and or freezers. Prices less than gas fridges! The Vestfrost fridges use less than one third of the daily power of a conventional fridge/freezer. A cheap but reliable modified square wave alternative. 240 Volt power inverters. These inverters are built for Australian Conditions and are stable enough to run computers and other equipment. The Australian Government use them extensively. Full Mr Inverter Document in MS Word format. 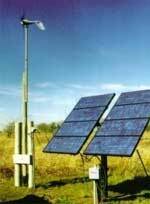 The new AIR 403 is a battery charging wind turbine. Easy to install and a great compliment to a solar power system. Developed by Monaro Turbine Specialist and ARTA PTY LTD for Australian Conditions. A Universal Mini Micro Hydro Plant for low supply heads and low river flows. Its output ranges from 80 Watts to 2300 Watts and is suitable for combinations of low heads between 1-4 meters and flow rates between 18 to 150 Liters per second. The turbine without the generator can also be used to drive a Riga water pump, which would pump for example up to 10.000 Liters per day to a 100 meter head. Composting Toilets, clean efficient and environmentally friendly. Ever wondered about the waste of petrol using the car all the time? Get an electric bike! If you have a system and wonder what you should do, or something is wrong, or nothing works, or you want to upgrade, or ..... Call us, we will help.